Fr John was ordained priest for the Diocese of Nottingham here at St Philip Neri in June 2003. Prior to his studies at the Beda College, Rome, he worked as a Regional Organiser for the GMB Union. He has also served as a District Councillor here in Mansfield. Fr John, upon being ordained, served for one year at St Barnabas’ Cathedral, then as Parish Priest at Our Lady of the Angels, East Leake, St Margaret Clitherow, Keyworth, and St Hugh’s, Lincoln, where he was Chaplain at Nottingham Trent University. He was also Bishop Patrick’s Health Care Adviser and Coordinator of School Chaplains. Originally from Guildford, Surrey, Fr Jonathan moved to Nottingham to study Theology at the University of Nottingham. During his time at the University of Nottingham he was received into the Catholic Church. 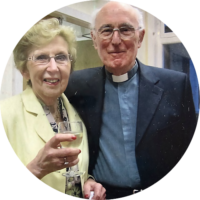 Having completed his studies, he went on to work for two years in the Chaplaincy at the University of Nottingham as the lay assistant to the Catholic priest. 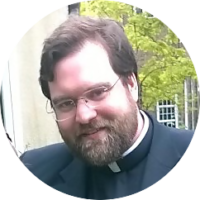 In 2012 he began his formation for the priesthood at Allen Hall Seminary in London. Fr Jonathan was ordained priest by Bishop Patrick at Nottingham Cathedral on 30 June 2018 and was appointed to this parish. Prior to coming to Mansfield he served as Deacon on weekends at the Parish of the Most Blessed Sacrament in Leicester, travelling down to London during the week to complete his studies. Deacon Barry grew up in Mansfield and attended Brunts Grammar School. He went on to train as an estate agent and qualified as an Incorporated Auctioneer and Valuer and later a Chartered Surveyor, and eventually became a partner in local estate agents Cramptons before retiring in 1999. He married my wife, Christine, in 1960 and has two children, Sarah and Edward, and three grandchildren, Daniel, Grace and Evie. 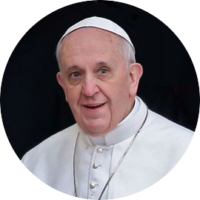 He wasn’t always a Catholic, and used to attend St Peter’s Anglican Church, but in 1989 was was received into the Catholic Church at Saint Philip Neri’s by Father Peter Dooling. In 2006 Deacon Barry was ordained to the permanent Diaconate by the then Bishop of Nottingham, Bishop Malcolm McMahon. Since then he has been attached to Saint Philip Neri’s as the parish deacon, assisting at Mass, preaching and leading devotions. 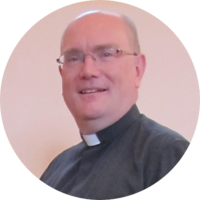 The Churches of Saint Bernadette, Saint Joseph, Saint Philip Neri and Saint Teresa are part of the Diocese of Nottingham and our Bishop is Bishop Patrick McKinney. 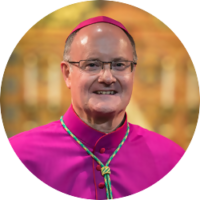 Mgr McKinney was appointed tenth Bishop of Nottingham by Pope Francis on 14 May 2015, and was ordained to the episcopate by Cardinal Vincent Nichols in St Barnabas’ Cathedral, Nottingham on Friday 3 July 2015. He has taken as his motto ‘Seek the Face of Christ’.